Our custom brass cases are individually CNC machined in accordance with patterns that we've personally developed over the past twenty years. This ensures that each case is as uniform as humanly possible to fit the chambers of original and most reproduction carbines. Our 50 caliber Smith cases will hold approximately 30 grains, and their machined bodies and thick walls mean a long life of reloading. 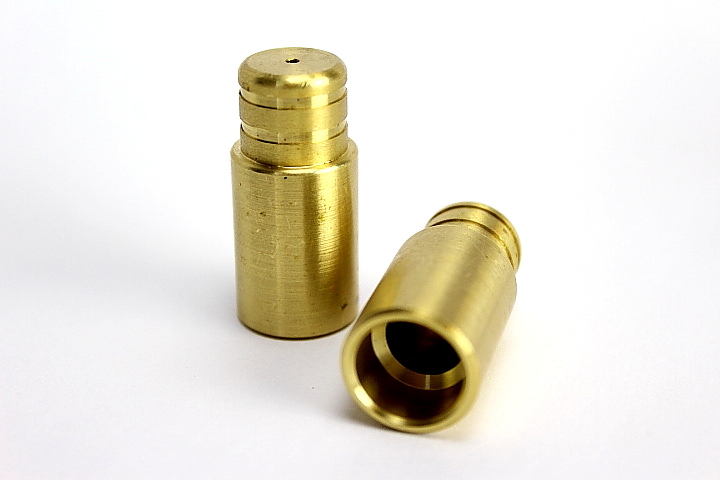 These cases work very well with our Smith reloading tool. Discounts are available for bulk orders of 50 and 100 cases, and are automatically applied when ordered online.